If Borobudur Temple has Borobudur Marathon. Its neighbor Prambanan has Jogja International Heritage Walk (JIHW). However, it focuses on walking though instead of a marathon. 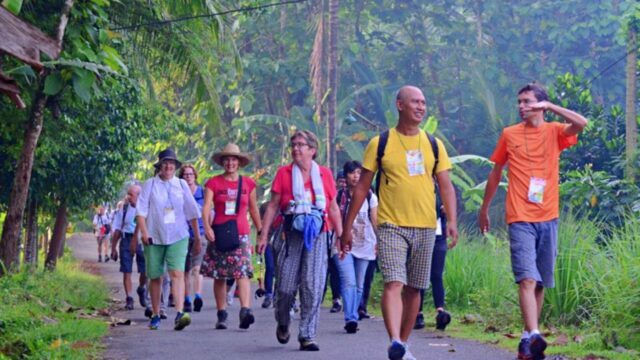 Jogja International Heritage Walk is an international walking event held annually since 2008. It's a health event. Promoting non-competitive sports activities for participants of all ages. Three categories are available to choose from 2 km, 5 km, and 10 km walk. 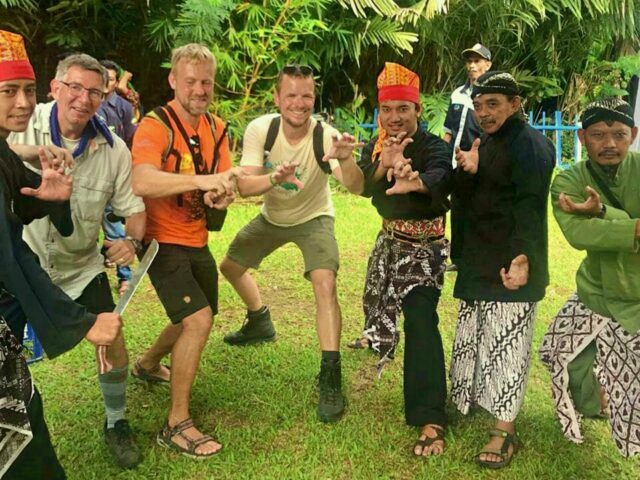 The organization committee hosting the event, Jogja Walking Association. They are a part member of the International Marching League (IML) from 2013. IML itself is a global recreational walking organization. With members coming from all around 27 countries. Currently, Indonesia is their only ASEAN representative. 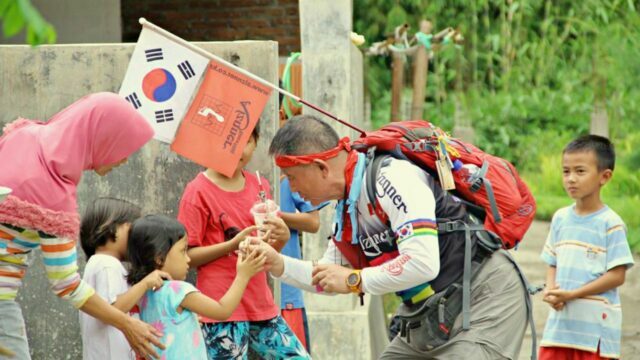 The Jogja International Heritage Walk activities actually go beyond just recreational walking. It's also a socio-cultural event. It serves as a promotional ground for Prambanan and the surrounding region. The committee wishes the event to attract more tourists to the area. In 2018, the number of participants exceeded 4500. With 350 of them coming from overseas. Interest in participating Jogja International Heritage Walk event? Participants will see a list of cultural heritage along the route. The route itself differs each year. But then it always starts from Prambanan Temple. 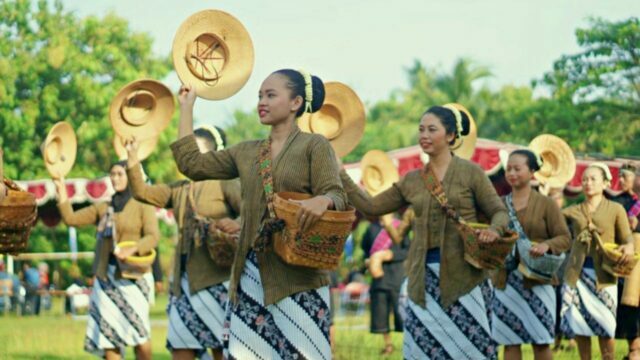 During the last year event, participants get to see the Joglo Kelor at Turi Village. Joglo Kelor is a historic house for Indonesian. Its where Prince Diponegoro took shelter during the colonial era. The prince itself is considered as one of the Indonesian national heroes. Along the route, Prambanan is not the only temple. Encounter other centuries-old wonders such as Sewu, Bubrah, Kedulan, and Sari Temple. The route also passes six villages in Sleman sub-district. Namely, Pancoh, Kelor, Nanggring, Tunggul Arum, Pule Sari, and Garongan Village. These are all agro-tourism villages. 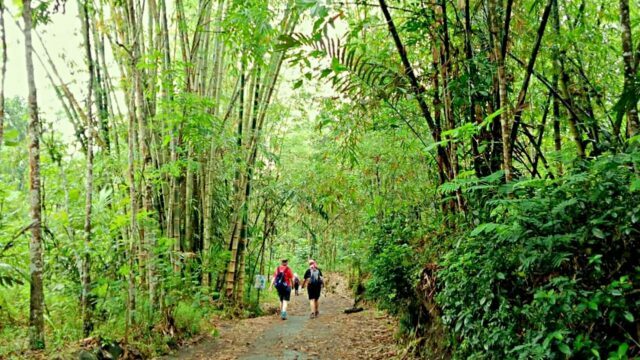 Nature is also the reason why Jogja International Heritage Walk is worth to participate. Get spoiled with views of green nature, clean environment. As well as salak gardens on either side of the road. Enjoy the fresh mountain air, clean from big city pollution. The sprawl of the rice field and Mount Merapi for instance. Will definitely complete Jogja International Heritage Walk's scenic backdrop. At each village, check out what locals offer. Taste, for free, the specialty product of Naggring Village, Etawa Goat Milk. Stop at one from the many food stalls offering traditional snacks. They can refill the energy consumed during walking. The hospitality of the villagers is also something unique to experience. Enjoy feeling welcomed and being their honored guests. Aside from recreational walking. Jogja International Heritage Walk also include more sports in its schedule. Join the 350m friendly swim race. And get the finisher stamp from IVV. Netherland. The International Federation of Popular Sports is the overseer of JIHW Swimming contest. It also oversees JIHW's non-competitive cycling. The cycling race will take visitors biking through the rural roads of Sleman. What's better is that it's free to join. For people who prefer aerobic. Take part in the Zumba session. Not only is a fun exercise. Participants will get to sweat out the body. With some upbeat unfamiliar music of the current Indonesian popular song. Get entertained with a variety of cultural shows throughout the event. Last year, for instance, Jogja International Heritage Walk opened with the performance of Cucuk Lampah. Then the puppet show Wayang entertained attendees around Candi Sari area. Along the route, participants will get to hear local artists. Performing music show with traditional instruments. The perks of being an IML member is participants will have the opportunity to collect IML's cool medals. If collecting shiny things is participants' favorite. The medal can be a great motivator. The bronze medal is for the first-timers. To get the silver and gold. Participants must participate in any IML events for 12th time and above. On the other hand, the finishers are also eligible for the Royal Princes Medal. It's the courtesy of Yogyakarta Sultanate. It's a shame to leave without at least exploring the grand backdrop Prambanan. For starter, the Hindu temple is a 9th-century wonder. And consist of 8 main temples and several smaller shrines. 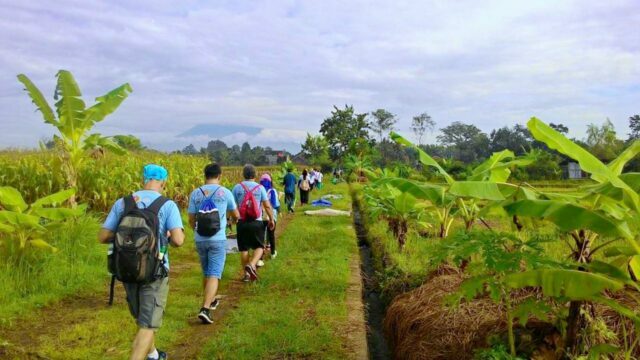 Jogja International Heritage walking route passing 6 villages with beautiful green landscape. Feel the mystical atmosphere as soon as stepping inside the temple complex. Legend says it was built in a fortnight. Although when considering the complexity of the architecture. It's clearly impossible. The venue of this event is Lapangan Brahma of Prambanan Temple. It is located at Sleman Regency at the north of Yogyakarta. And 40 minutes drive from the city center. The event will be held for two days on 16-17 November 2019. The event will begin from 06:00 AM and finish at 09:00 PM. See: Magnificent Landscape of Imogiri Pine Forest, Yogyakarta. The registration fee is affordable. It costs IDR 80k for one-day access and IDR 150k for two-days access. See: Tubing in Underground River, Pindul Cave. Participants will get a T-shirt, snacks, and a drink. They're free and included with the registration fee. Bike and helmet are provided for cycling participants. However, participants are always welcome to use their own bike. Attendees who plan to stay around Prambanan can easily found accommodation near the venue. A decent room at a homestay costs as low as IDR 95k/night. To reach Prambanan from Central Yogyakarta, visitors can use Trans Joga buses. Line 1A directly will deliver tourists from the airport Shelter to Prambanan. After getting off the Prambanan shelter continue to walk for 500 m to the location. Line 1A also stops at Malioboro Shelter. It's the nearest bus stop from Tugu Railway Station. Coming from Lempuyangan Railway Station. Head to the shelter near the station exit. And take the bus Line 2B to make a stop at Cendana Shelter. After that, continue the journey by taking a Line 1A bus heading to Prambanan. As for the fare, it's IDR 3500/trip. The journey takes one and half an hour by bus.